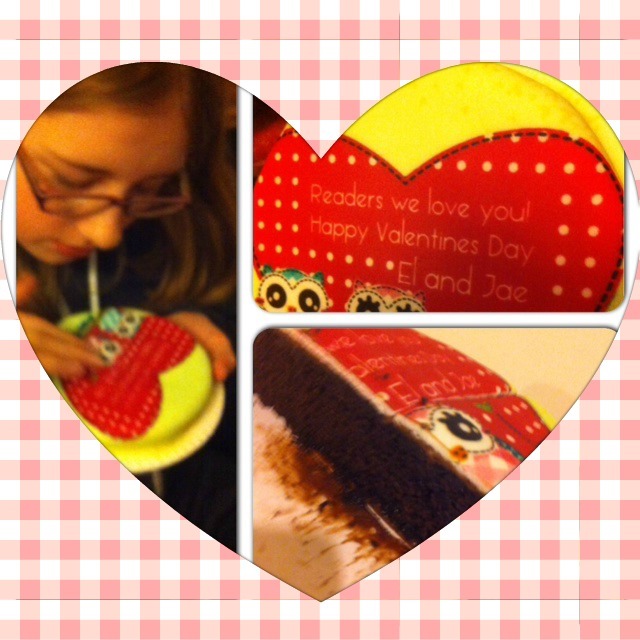 We were recently asked if we’d like to review personalised valentines cakes. So who could we get a personalised message for? Who do we love with all our hearts, more than anything? Who is our special valentine? This is a letterbox cake from Baker Days. It is quite a small cake, but then if it was too big it wouldn’t fit in the letterbox. We thought it was really cute! There are lots of different flavours of cake – we tried the chocolate and it was mega yummy. 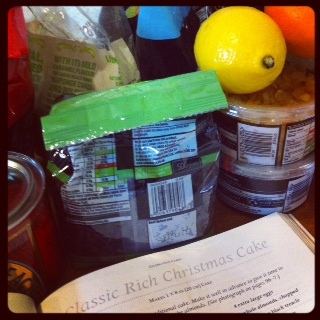 The cakes are pretty dinky so it just makes 4 slices so alas there isn’t any left for you dear readers. But we thought of you when we were eating it, we really did! It was very easy to add in the personalisation on the website and you can see how your cake will look before you order. There were loads of different designs for Valentine cakes, you can even upload your own photo if you want to eat somebody’s face. 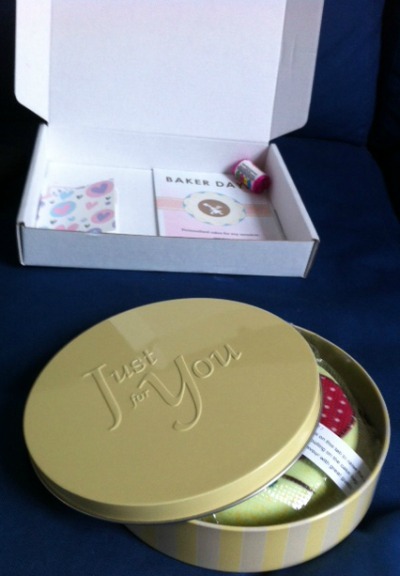 The cake comes really well packaged inside a padded cake tin (which you can keep) packed inside a sturdy box. We thought the cake might come bashed and squashed but it was perfect. So you can send it to your love even if they are far far away in Narnia and the cake will arrive nice and fine. Personalised letterbox Valentine’s cakes from Baker Days are available now, priced from £14.99 including postage. We were sent this one free of charge to review. January 28, 2013. Tags: Baker Days, cake, personalised, valentines. Reviews. Leave a comment. November 25, 2012. 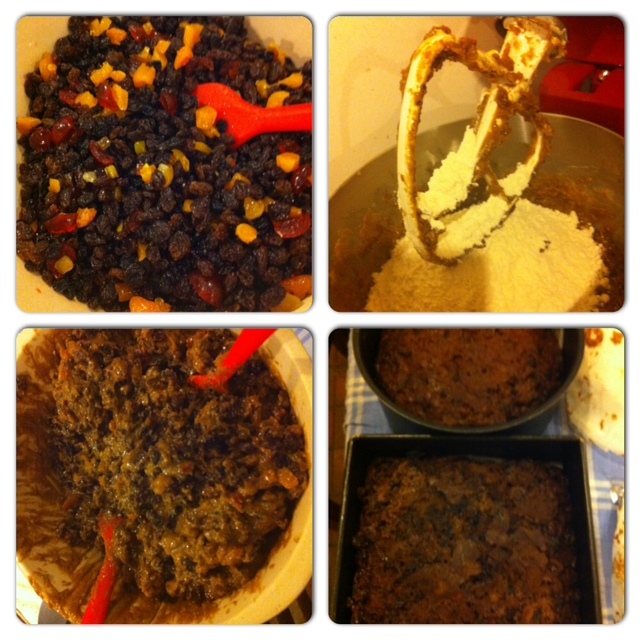 Tags: cake, Christmas, making. Stuff we love. Leave a comment. Today is Eye’s 9th birthday. If you’ve not met him before, Eye is El’s little brother. He was born on Friday 13th on the 13th floor of the hospital in Room 13 and is our special lucky charm. Here he is with his Under the Sea/Turtle birthday cake. 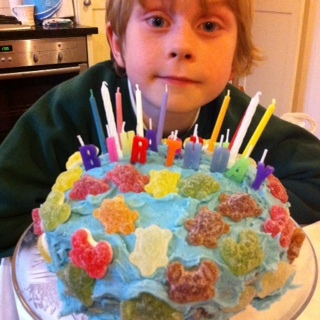 We made it with blue butter icing and stuck on sea creature jelly sweets. In the middle it’s sponge cake with jam and chocolate spread between the layers. Yum yums! If you are wondering what nine year old boys like for their birthday, for Eye it was a set of bongos, lots of books and audio books, colouring pencils (posh ones in a tin), a T shirt that says Turtles Rock and Star Wars Kinect game. Also nine year old boys like hugs, special stones, turtles and Doctor Who. 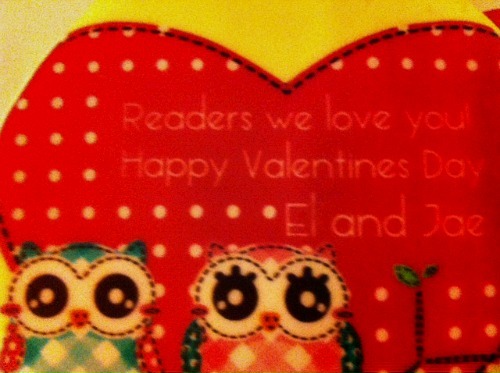 And a card made by El saying ‘If you breach copyright I will SUE YOU!! !’ on the back. Unfortunately he had to go to school and he had the evil supply teacher of doom who is evil. Did I mention she’s evil? (El has been taught by her before and she has a nasty habit of accusing people of things they haven’t done). But all in all it was a great day and lots of Swingball was played and lots of Malteasers were eaten. So we all hope you had a happy day filled with joy! June 13, 2012. Tags: birthday, cake, nine. Stuff we love. 2 comments.